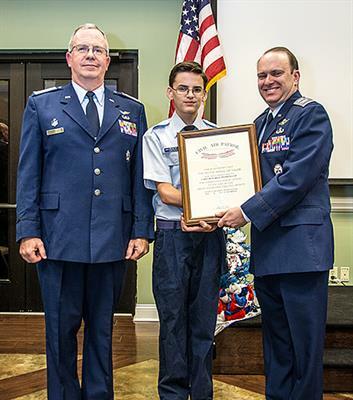 The Civil Air Patrol (CAP) is the civilian all volunteer auxillary of the U. S. Air Force with 1,500 squadrons and 60,000 youth and adult members nationwide. 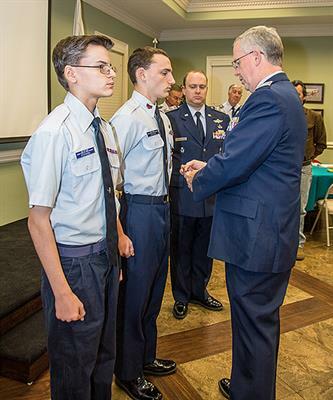 The local 507 Ellijay Composite Squadron offers opportunities for members to serve communities, participate in leadership development training and acquire new skills that benefit personal and professional growth. CAP conducts 90% of inland search and rescue (SAR) in the U.S. as tasked by the Air Force, Rescue Coordination Center and other agencies. Emergency Services, Cadet Programs and Aerospace Education. The local 507 Ellijay Composite Squadron cadets, age 12-18, meet every Tuesday at 6:30PM at the Gilmer County Airport. Senior members meet the 1st and 3rd Tuesday of each month. If you want more information about CAP, please call or email: Don Murray 706-373-1553 or email: drbaf@ellijay.com. We welcome your participation and thank you for your support.